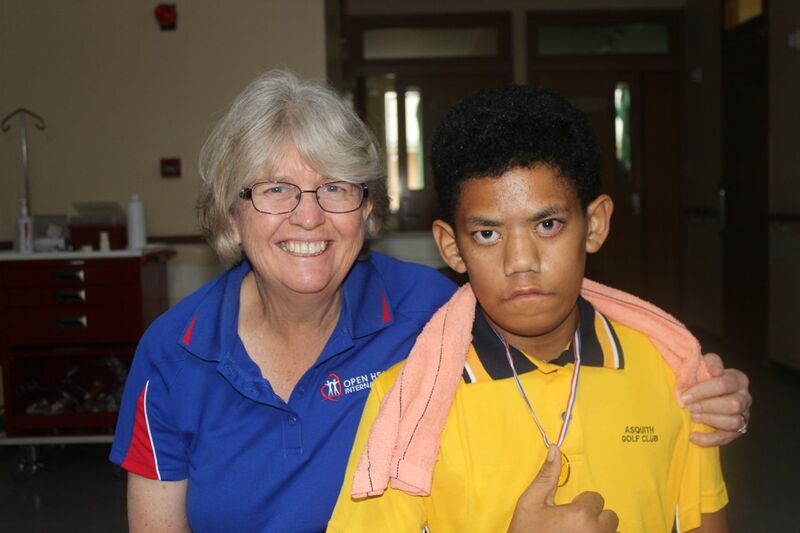 Atunaisa is a 15 years old boy who is currently in year 3 at school. He has a Neurological disorder called Moebius Syndrome. Moebius Syndrome is a rare birth defect caused by the absence or underdevelopment of the sixth and seventh cranial nerves, which control eye movements and facial expression. Atunaisa’s father passed away a few years ago and since then his Mother has remarried and moved to Australia. His Aunty is his full time carer (with the help of his Grandma) and they have known about his heart condition for about four years. 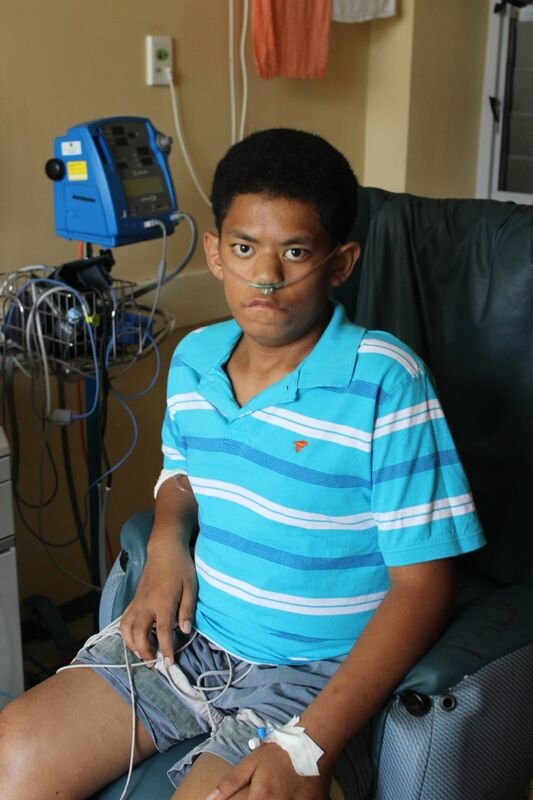 His condition significantly declined a couple of weeks ago and he has been at Vaiola Hospital ever since. His condition was reviewed by the Open Heart International team during patient screening, he was selected for surgery, and was scheduled for Wednesday last week (middle of the operating week). Atunaisa was disappointed when he heard his surgery wasn’t until Wednesday and asked why couldn’t he have it now. I didn’t fully understand why he wanted surgery so soon until I went and visited him on Monday morning. 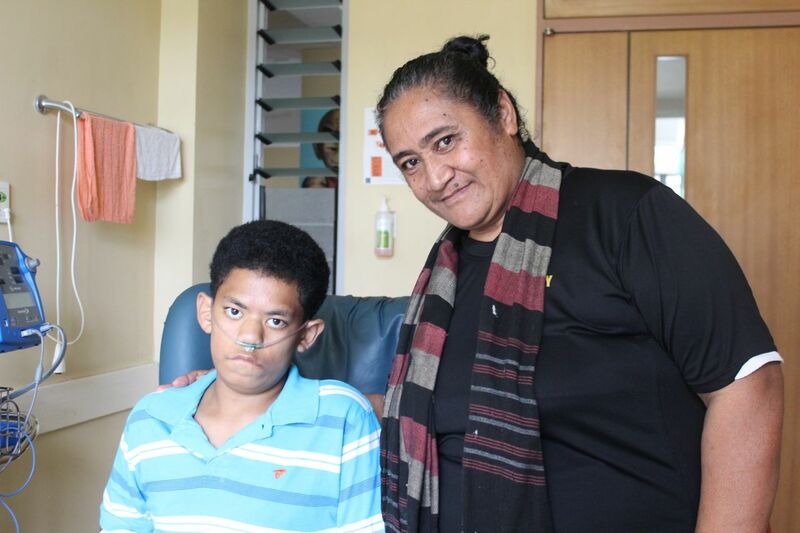 When I walked in to Atunaisa’s room in the Paediatric Ward at Vaiola Hospital, he was standing and you could see his heavy breathing from across the room. He was unable to sit down, because if he didn’t he wouldn’t be able to breathe. His shoulders were arched upwards to allow oxygen to get to his lungs and you could see the enormous effort to do something we so often take for granted, breathing. His chest was rising and falling rapidly and you could see the amount of strain his body was under. Sunday night Atunaisa significantly deteriorated, the Medical Superintendent and Chairman of Vaiola Hopsital, Dr Lisiate stayed up all night wondering what they should do, as they were afraid if he didn’t have the surgery the next day he wouldn’t last the week, let alone a few days. The Doctors met to discuss Atunaisa’s case. It was a tough decision as they were aware of the risks of having a double valve replacement when he was so sick. The chance of him surviving was about 50%. Open Heart International has always had a conservative approach to surgery. Even with a team of some of the most talented clinicians in Australia, not everything that is operable in Australia is considered in a country such as Tonga. After much deliberation, it was agreed that surgery would proceed. Atunaisa’s surgery went for a considerably longer amount of time than usual with a few challenges along the way. His ICU recovery was again, longer than most. He spent almost a week in ICU whereas most other patients were transferred out of ICU within 24 hours of their operation. Even when he was in ICU he was certain he was going home, especially when his Uncle came to see him. His innocence shone through and it was a beautiful sight to see. Already he looked significantly better, and his struggle to breathe wasn’t nearly as bad. Every day he improved and he was extremely positive throughout the whole experience. It was exciting when Atunaisa was transferred to the ward Saturday morning, which is nothing short of a miracle. He is a completely different kid. He spoke with Linda Thomson Mangnall who is conducting a research project on the effects of surgery, He said that his short-term goal was to get out of the Hospital, his next goal was to play with his brothers and sisters, and his long-term goal is to become a policemen. It is hard to believe that one week ago he had a 50/50 chance of survival and to watch him breathe was heart breaking. Tommorow it appears he will be discharged from Hospital. 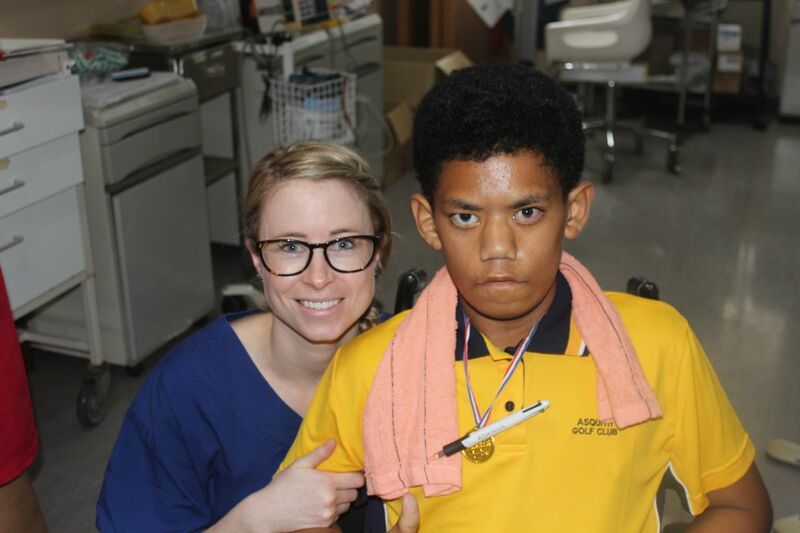 Everyone at Open Heart International hope he continues to recover each day and that his goals become a reality. His story is certainly one for the history books.